My recent morning readings have included two really useful books, but two books that are not quick, simple, or easily mastered works. Reading often is best done when the right book meets the right set up. For example, many books are great for easy chair reading. Some are just right to tag along on trips to have handy for short snatches while waiting in line or sitting in a car while the wife runs into the grocery store to pick up a few things (meaning at least one full grocery cart full of stuff). Recently, I began reading two such challenging books in the morning session. One is Knowing God and Ourselves by David Calhoun. This book is published by Banner of Truth. Calhoun told a similar, but much shorter story in his book Our Southern Zion: Old Columbia Seminary. This Banner book recounts the ups and downs of Southern Presbyterianism as found in Columbia. I did not recognize as many names, but still enjoyed this contribution to our theological heritage. A book that Calhoun edited and wrote part of is Pleading for a Reformation Vision: The Life and Selected Writings of William Childs Robinson. Robinson was a professor at Columbia and a Reformed scholar and author during the 20th century. Another challenging book I am currently working through is Reformed Dogmatics: Volume One: Theology Proper by Geerhardus Vos. This volume, along with the remaining four volumes of the set, was only recently translated and published by Lexham Press. Geerhardus Vos is a big name in the history and pursuit of Reformed theology. He is Dutch. For reasons that continue to amaze me, the tiny and largely below sea-level nation known as the Netherlands has produced a larger than expected number major thinkers in this world. One might throw out names like the philosopher Baruch Spinoza or the physicist Niels Bohr, but most of my interest has been focused on the theological minds that have emerged out of Dutch history. These “theological thinkers” (which describes a broader swath than just saying “theologians”) include historian Groen van Prinsterer, political and theological leader Abraham Kuyper, theologians Herman Bavinck and G. K. Berkouwer, and Christian philosophers Herman Dooyeweerd and D. H. Th. Vollenhoven, and art critic H. R. Rookmaaker. The flowering of Dutch Calvinism spread to the New World as well. Bands of Dutch Calvinists came to this country at various times. Many maintained deep connections to their Dutch culture, language, and religion. Louis Berkof was a major Dutch theologians whose books are still devoured by eager Calvinists. So are the works of Cornelius Van Til, the apologist and key promoter of the concept of presuppositionalist apologetics. Geerhardus Vos was a Dutch transplant to the New World. He taught for a time at Calvin College and then moved to Princeton. His is sometimes regarded as the “father of modern Reformed Biblical theology.” Not a light thinker, Vos is not as popularly read as some of his theological peers like Kuyper or colleagues like Benjamin Warfield or Van Til. Some of the lag time for Dutch theologians is due to their major works being written in their native language. It has only been in recent years that Herman Bavinck’s mutli-volume Reformed Dogmatics has been accessible to English-only/mainly readers. 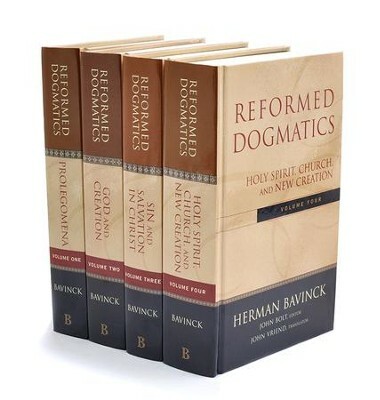 Now, in addition to a load bearing shelf carrying Bavinck’s volumes (and don’t forget to add the one volume summary and some more recent additions of essays), one can also have five volumes of Vos’ Reformed Dogmatics. Vos’ work grew out of courses he taught on systematic theology. He follows a method of questions and answers. The works were probably assigned as readings rather than given as lectures. The Q and A’s format is very precise, careful, and exhaustive. Each section of Volume One could easily be made into a short handbook on the topic covered. Vos explains the doctrine, lists key Bible verses, and often either buttresses his argument from Calvin or other sources, or answers objections or refutes other views. One has to be careful in reading the book, for Vos will give a sentence or a viewpoint which he goes on to refute. This is the kind of hard work that pastors and teachers need. I hope it doesn’t just go on in seminary classes, especially in light of the fact that many of us have never attended such classes. Being grounded calls for lots of review. I have been what I am for so many years that I have ceased to think about many doctrines and teachings that I once sweated blood over. A careful examination of the 40 pages of study of the Trinity is a good exercise for my mind. But it is also good for the heart (to make that oft used distinction). Because of the format, Vos’ writing has little flow or elaboration. There are plenty of other places to find such. 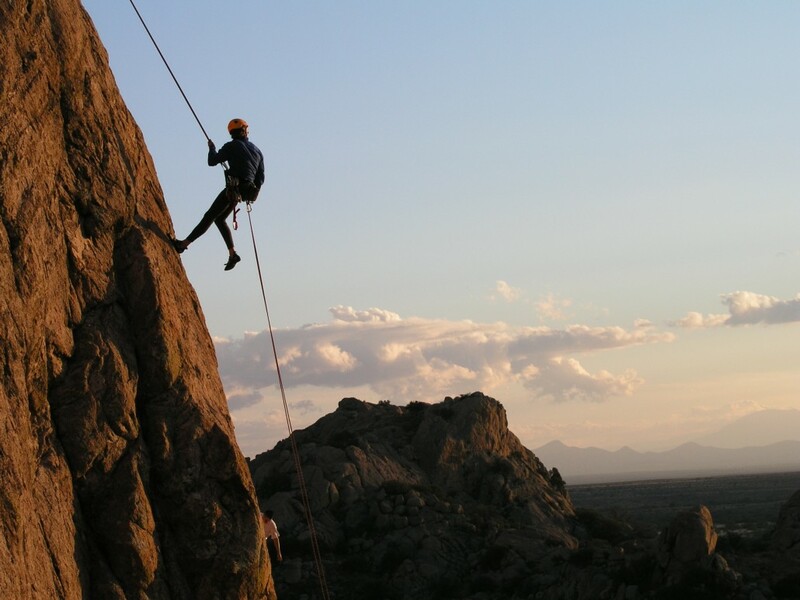 This volume is for the slow, detailed climber. Michael Horton describes these Vos writings as being “like a lost Shakespeare play recently discovered.” Well said. My step-mother used to refer to men who were “trying to make a preacher.” I also remember reading a book where young candidates for the ministry were said to be “tolerated” by the congregation. There are numerous gifts that pastors need to have or that the session of elders need to have. But whoever is standing behind the pulpit or lectern or is up front of the congregation with his mouth open needs to be well equipped. Lots of good men are not good preachers. Lots of men who are capable of getting through a sermon and edifying a congregation once are not apt to be at that task every week or very often. Bad preaching comes in lots of varieties. Church life and Christian living depend upon more than just preaching, but preaching is a vital ingredient for both the church as a body of Christ and the individual living for Christ. Preaching depends upon certain God-given gifts. Absent these gifts, a man is not likely to ever “make a preacher.” But most men who have been “tolerated” by a congregation or homeletics class will have some skills that need to be honed for regular preaching and teaching. A Charles Haddon Spurgeon breaks all the rules. He skips Bible college and formal training; he enters the ministry at a very young age; he preaches from particular verses or even parts of verses; and he is incredible. Message to all of us: Look in the mirror; listen to a tape or podcast of your sermons; ask a few objective members of the congregation; and embrace this truth: You ain’t Spurgeon. Most of us ain’t Tim Keller, Mark Dever, John Stott, Martyn Lloyd-Jones, Alistair Begg, or Sinclair Ferguson. Feel free to fill in the name of any other great preacher. But you probably ain’t him either. But God never calls men to greatness. The Apostles, as they stumble through the Gospel accounts, appear more often as buffoons, immature and jealous boys, and intellectual lightweights. The most academic and scholarly of the New Testament writers, Paul, was not a powerful orator, by his account. He could put people to sleep by his sermons! God calls fallible, but transformable men to ministry. But they have to learn. They need mentors. Some of their best mentors will be long-since dead men of old. Some of them will be their teachers or previous pastors. Some will be current authors. Men going into ministry need to read good books on everything and every aspect of Christian life and thought. This includes books on preaching. 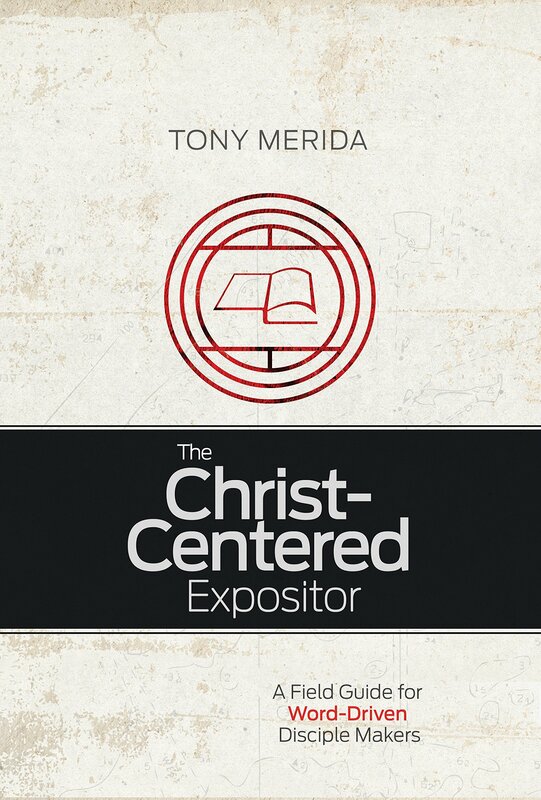 The Christ-Centered Expositor by Tony Merida is at the top of my list for books for pastors at all levels to read. This book is published by B & H Academic, which has become one of my favorite publishers. They are currently publishing the Lost Sermons of C. H. Spurgeon series and Stewart Kelly’s book Truth Considered and Applied which I have reviewed and praised in previous posts. One of the main thrusts of this book is that preaching need to be expository. By that, we mean that the preacher should explain the meaning of the text he uses for the sermon. The sermon should illuminate the text and the text should determine the content of the sermon. Want to preach on a topic? Don’t go and find a Bible verse that includes a slight reference to the topic and then go merrily along your way. Don’t “use” the Scriptures, but teach them. Quite often expository preaching will entail teaching and preaching through entire books or lengthy passages. So be it. That is what is needed to teach the people the Bible. The Bible is not a set of aphorisms. Even Proverbs is not just a random list of neat sayings. The first half of the book, however, is not devoted to teaching the preacher how to preach or construct sermons. The first seven chapters are in a unit titled “The Expositor’s Heart.” There is no sermon worse than a sermon delivered by an unfaithful man. Part of what makes ministry so hard is that the preacher has to spend all week preaching to himself before he can preach for a half-hour to hour to others. As preachers know, if your upcoming sermon is on joy, you will experience the most joyless week ever as your prepare for it. Same for patience. Same for just about anything. God’s training camp is not for sissies. It’s not for tough men either. Only a Christ-centered Spirit led life can enable any man to survive his own soul and preach to others. The second half of the book is titled “The Expositor’s Message.” If the first half needs to be read on one’s knees, the second half needs to be read with a pencil, paper, and open Bible. God just doesn’t give messages. Yes, I believe that I could stand up right now and preach a message. But if the message turned out to be any good (and I know God can and does use really bad messages as well), it is because of years of study, reading, listening, and practicing. Merida emphasizes two key parts of the sermon preparation. The first is called the MPT. That stands for the Main Point of the Text. It is not the main point I want to make in my sermon, nor is it some main point my congregation needs to hear. It is the Main Point of the Text. Second, there is the MPS, which is the main point of the sermon. Having three points, many subpoints, alliterative lists, and the like may or may not be useful. But a sermon should have a main point, a main take-away. It needs to be clear and needs to be repeated in the sermon. I have heard many tolerable to decent sermons that seem not to have had a main point or a memorable main point. I have probably preached too many sermons where the main point either didn’t exist or was obscured along the way, or was not made perfectly clear. Pastor Merida is well grounded in the best writing on pastoral ministry and preaching around. He highlighted many books I read and loved along the way. Some of these include John Stott’s Between Two Worlds and Spurgeon’s Lectures to My Students and Lloyd-Jones Preaching and Preachers. He also quotes and recommends quite a few other books I would be lunging after if preacher were still on my job description. Most books like this one appeal only to actual preachers or preachers-in-training. Well grounded people in the congregation need to occasionally read a book like this. Those (of us) who are sermon listeners, rather than sermon makers, could benefit from being better equipped to know what we are looking for. As Helmut Thielicke said, “Sell your shoes and buy Spurgeon.” I would add this: “Sell another pair and buy The Christ-Centered Expositor. Political books abound. Political books by conservative authors and publishers abound. I steadfastly avoid at least ninety-nine point nine (99.9) percent of them. I avoid the books that are written in the heat and issues of the moment. The only point of interest for me is wondering how they get written so fast. I avoid, reject, and almost abhor political books that feature pictures of the author on the cover. In fact, the books where the author’s picture is the cover are effectively “Keep Out” signs for me. If I want such a book, it is easy enough to find it a year or so later in the bargain or used book bins. But usually, a year later, such books are no more relevant than last week’s newspaper. To a large degree, I also avoid the people who are considered the media representatives of conservatism today. Sad to say, most of those who have radio and television spots as conservatives are devoted to ranting endlessly, to defending President Trump shamelessly, and beating dead horses furiously. Yes, such voices often say true things and things with which I agree. But I find little of interest in tide of cultural or social or media conservatism. The hype of the day, the popular cries of the moment, and the trending internet stories can easily obscure real political thought. Magazines such as National Review are a welcome relief to such trendiness and trite fluff. We have been cursed with living in interesting times. I have yet to figure out what happened in the 2016 election. The political successes and failures of Hillary Clinton, Bernie Sanders, and Donald Trump all astound me. Everything I predicted was wrong. But I am in good company there. Everything just about anyone predicted was wrong. For these reasons, reading Why Liberalism Failed by Patrick J. Deneen is both a relief and a source of hope. Dr. Deneen is a professor of political science at Notre Dame University. This book, published by Yale University Press, has been subject to many book reviews and discussions. Dr. Albert Mohler, a leading evangelical intellectual, interviewed Dr. Deneen in an enjoyable discussion found HERE. With all the commentary (both favorable and critical) and buzz about this book, I could easily say: “Read the book while I start my second reading of it.” If all my ________________ (millions, thousands, hundreds, dozens, or 5) followers did that, we would all gain from the process. And I am going to read the book again (after having finished it today). The first key point to take note of is that the words Liberal and Liberalism are not just descriptions of the Left Wing of the Democrat Party (yes, I know that the right wing of that party died years ago). Why Liberalism Failed is not a boast-filled celebration of the defeat of Madame Clinton, Nancy Pelosi, Chuck Schumer, and company. It is not an attack on the media, the education system, the Washington establishment, or any of the usual targets of the political news. The words “Liberal” and “Conservative” are best seen as relative terms, like tall and short. Directly stated, both the Democrat and Republican parties, both our modern day liberal and conservative spokespersons, both the left and the right are part of the greater tradition of Liberal Thought in the West. Remember that the word “Liberal” was often used in Europe to describe those who wanted more political freedoms and less governmental interference. Anyone wanting to see Democrats and the media bleed need to look elsewhere for a book to read. That is not to say that there is not a lot of bloodshed in this book. But it is the West, the American system, the Founding Fathers, and the core values of what many of us hold that are shown to have gaping wounds in this book. Second, there were three great ideologies in the twentieth century: Fascism, Communism, and Liberalism. Fascism failed when the combination of Allied armies (made up of a coalition of Liberal Democracies and a Communist regime) crushed Mussolini’s Italian Empire and Hitler’s Third Reich. Victor Davis Hanson’s remarkable book The Second World Wars retells the story of the fall of Fascist regimes. (Franco’s Fascist regime lived on until his death and the transition of Spain back to a more constitutional monarchy.) Communism died or continues to die more slowly as a result of its own internal failings as well as the success of the West both militarily and economically. 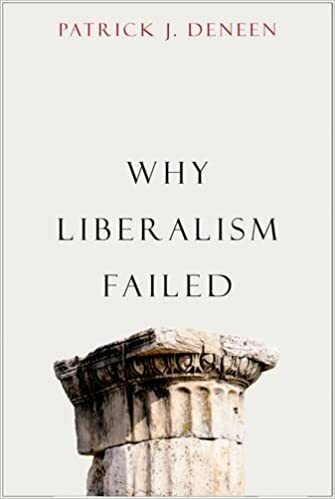 Liberalism survives, but as Deneen notes, it has failed. It is not outward armies and empires at the gates that threaten Liberalism. It is its own successes. Liberalism has created a people and a mindset that believes certain premises about life and government and society that have long-term detrimental consequences. It has created a view of government and actual governments that have become all reaching, all encompassing, and all promising. I was made more aware of one of the saddest facts I know: Changes in political parties do not change our overall culture and government. That being said, I will still hope for and vote for a dozen future Ronald Reagan-types over the alternatives, but the problems are not skin deep or Washington-centered. We have installed a government of consent that consistently and naturally overflows its boundaries. We can vote ourselves the largess of government-controlled money and controls. Years ago, I read Herbert Schlossberg’s book Idols for Destruction. That influential book still resonates with me. One of the idols of our age is our own combination of government, society, and culture. Third, the book is not without hope. Deneen cites several authors who have probed these issues. Wendell Berry of Kentucky has written both essays and fiction that provide a glimpse of a better way of life. With all its limitations, The Benedict Option by Rod Dreher also has some really helpful guidelines. There is no big meta-solution issuing from the bowels of a centralized order to solve our problems. That is the problem. It will take a large degree of self-control, self-government, family life, church life, and local focus to start the long march back. Wait, I meant the long march forward. Deneen strongly asserts that no one can sensibly try to move us back in time or back to some pristine age. There is wisdom in the past, but the movement is forward. Christians, read this book. Your family and local church, the education of your children, and the culture you create in small societies is vital to the future. Yes, read this book while I get started back on my second reading. I received this fine book as a review copy from the publisher. As such, I am not bound to review it glowingly, but I have by personal conviction. I recommend you buying a copy because it is both a great read and is affordably priced. 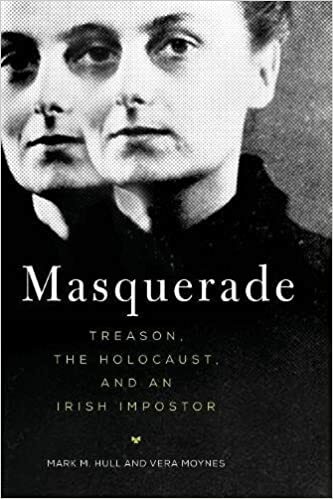 Masquerade: Treason, The Holocaust, and an Irish Impostor, by Mark M. Hull and Vera Moynes, is a recent publication from the University of Oklahoma Press. I am a book reviewer for that university and am, therefore, a literary Sooner. As might be expected, that press is responsible for the publication of numerous books on Native Americans and the American West. But UOP is also the publisher of a great series of military works under its Campaigns and Commanders series. And in an age that is hesitant or unsure about classical studies, UOP continues to publish scholarly studies on Homer, Virgil, and the other ancient authors whose writings once constituted the basic core of academic education. Those books are part of the Oklahoma Series on Classical Culture. Masquerade is not part of a series and is classified as world history and biography. While I was reading it, I tried to shelf it alongside studies of World War II. The book is about a woman named Phyllis Ursula James, who went by the names Nora O’Mara, Róisín Ní Mhéara, and Rosaleen James. Her role in World War II, although treasonous, was minor. Her role in Irish affairs after the war was a bit more prominent, but I suspect she is not well known in Eire. There were Englishmen and women before and during World War II who looked favorably on Hitler, the Nazis, and the Third Reich. The novel and movie The Remains of the Day by Nobel Prize winning author Kazuo Ishiguro is about that subject. The best known among the treasonous was William Joyce, known as “Lord Haw-Haw,” and the American Mildred Gillars, best known as “Axis Sally.” (“Lord Haw-Haw” was hanged for his treason after the war, while Gillars served time in prison.) In contrast, Rosaleen James was never actually accused of her actions to aid the Nazis. With a thousand plus figures from World War II, ranging from key political and military leaders to lowly privates and civilians, of what importance is this woman? She did opt to live the war years in Germany. She did defend and support the Nazis. She continued throughout her life to blaming Churchill, the Allies, the bombing campaigns, and all opponents to the Third Reich for the defeat of what she viewed as the more virtuous power in the war. She faked Irish heritage and was consumed with avenging Irish wrongs at the hands of the English. She did try her hand at broadcasting during her years in Germany during the war. She attempted to help with efforts to recruit Irish to the Nazi cause or to use Ireland as a source of intelligence for the Abwehr (the German intelligence department). But in many ways, she could be discarded as a subject of interest and relegated to the category of a kook. But two historians found her life worth studying and investigating. This book is an investigative history. Her story is not found in the standard works and resources for World War II. Dr. Mark Hull’s previous book is titled Irish Secrets: German Espionage in Wartime Ireland, 1939-1945. Vera Moynes is a historian with the National Archives of Ireland. They are, therefore, well equipped to deal with this case. First, it is a testimony to a really difficult and troubled life. Rosaleen James was an abandoned child. But she did not have a Dickinsean experience. Quite the contrary, for she was basically adopted and raised by Lord Hamilton and his wife. I say “basically adopted” because Rosaleen’s connection and status with Lord Hamilton was not good. Lady Hamilton claimed Rosaleen as her adopted child, but Lord H didn’t. In time, Rosaleen would have two children but would not be married. Her relationships were a bit murky. She never knew her biological parents, and this was the basis for her claiming Irish descent. Growing up with aristocratic benefactors put her in good society, but she was not a good person. The Hamilton’s, by the way, were Hitler sympathizers before the war. Second, Rosaleen translated several works from Gaelic into German, and she wrote newspaper columns and a couple of books. She was a gifted person, for the Gaelic language is not an easy climb. Her autobiographical works concealed as well as revealed parts of her life and the persona she created. Third, she was an unabashed defender and apologist for the Third Reich and the German people. She loathed the English, especially Winston Churchill. Her main criticisms of Germans was cases where the German government performed acts of contrition for the Nazi crimes. She contended that the deaths found in the Bergen-Belson concentration camp were largely exaggerated in terms of numbers, due mainly to an outbreak of typhus, and were made worse by Allied bombings. The primary evidences of the Holocaust never seemed to have lessened her insistence that the whole thing was an Allied deception. Fourth, while this book is listed as history and biography, I would mentally place it in another file. I think it fits better under psychological and mental disorders and under pastoral studies. I don’t have the background to evaluate why people like Rosaleen James function like she did. But I have been around the block a few times in dealing with people as a Christian pastor. While we are all prone to shade, twist, or conceal the truth (part of our sinful nature), some people are prone to live lies. While it is easy to see why one tells a lie to get out of an immediate situation, living a life of lies is puzzling. Rosaleen lived a life of twisting what she knew about her background, lying about people she knew and personal experiences, and lying about her Irishness. She so embraced her connections to Ireland (not a bad thing in and of itself) that she concocted stories of visits there that never occurred and about historical connections. The authors of the book tried to meet with her as they were doing research on her life. Her son conveyed the message to them that ill health prevented such a meeting. Rosaleen died in 2013. But her family also refused to share any personal insights or interpretations of her life. This story is a dark tragedy. Rosaleen James actually achieved some minor fame and notice in her life. There are those who think of her as heroic. But while she achieved little in her early efforts to become an actress, she played a life-long role that was a fiction. I received this book as a review copy and am not bound to review it favorably. But I did enjoy this obscure story and think the two historians did a fine job of putting the pieces together in the mystery of this woman’s life. There is a big part of the topic of apologetics that doesn’t apply to me. Maybe I am dimwitted, gullible, and shallow. I don’t deny those things. I believe the Bible. I believe the words of Jesus. I believe the historic and creedal teachings of the Church (in the broadest universal sense). I have no more problem believing in the virgin birth of Christ than in the non-virgin birth of myself, my children, and others. I believe Christ rose from the dead. I am a creationist and pretty much in line with fundamentalists, except that I am not premillennial. In matters where I have doubts, I simply shrug them off as a personal failing. Like the people of Pennsylvania that former President Barack Obama, I simply cling to guns and religion. Well, actually, I cling to coffee, books, and religion, but I basically fit alongside of those political Neanderthals as depicted by the Enlightened One. Nevertheless, I have long loved and studied and read on Christian apologetics. I have loved that area of study since I first discovered it many years ago. I love it too much to take sides. By that I mean that I love Van Til and Gordon Clark. I love the approach by Greg Bahnsen and that of R. C. Sproul. I love Classical Apologetics, Theistic Proofs, Evidentialists, and simple home-grown personal testimonies. Correcting my words above, I actually do take sides: I do favor the views of the presuppositionalists, but will still employ examples form Evidence That Demands a Verdict. Back in December, I started a book titled The Case for Christ: The Biblical and Historical Evidence for Christ by Brant Pitre. I was reading it as a spiritual prop to all of the non-spiritual pressures of the Christmas season. It filled that need, but it did much more. The reading of the book was a heart and mind exalting experience. On the one hand, I was convinced of nothing I didn’t already believe. But I was strengthened, confirmed, and made incredibly joyful of the “faith once delivered for all the saints” (Jude 3). But the field of apologetics, as defenders of the faith would say, is not primarily to convince the unbeliever, but to comfort and strengthen the believer. My initial attraction to this book was that it had an afterword written by Bishop Robert Barron. I had read and reviewed a book featuring Barron titled To Light a Fire on the Earth. My review can be found here. Wanting to learn more of Barron, I was interested in this book primarily for that reason. Dr. Pitre lives in my neighboring state of Louisiana and is a professor of Sacred Scripture at Notre Dame Seminary in New Orleans. Besides being an academic professor, he is a best selling author. This book begins with a central issue: Did Jesus of Nazareth claim to be God? Again, I never lay awake at night wondering about that. But it is a stumbling block for many. And it is a contention that is raised by folks in the liberal wings of the Christian umbrella. Granted, I have long since embraced J. Gresham Machen’s teachings in Christianity and Liberalism and have dismissed the theological liberals as being outside the pale. But the broader religious community, which includes all varieties of Christian-adjective groups, teach, write, suggest, imply, and slip in doubts and questions about this. Heresies are a great blessing to believers. For by them, Christians are forced to wake up, drink stronger coffee, and pull the Bibles down from the shelves and start digging. The result is not capitulation, defensive retreats, or fear. Rather, the result of battling a heresy is clarification of the truth. Bart Ehrman is the prime target of this book. Ehrman, who is–sad to say–a Wheaton graduate, is a popular writer whose claim to fame is debunking the faith he once embraced (sort of). He is a good writer. I read a book titled The Gospel According to Judas. The fragment that is attributed to Judas is ridiculous, but it is a valuable piece of ancient Gnostic material. Bart Ehrman’s essay on the Judas fragment was outstanding. Eherman’s labors, however, are usually aimed at undermining the confidence of believers. His books, along with contentions of professors of religion, created a crisis for Pitre when he was a student. But there is a valuable lesson for any Christian who is troubled by “the latest discovery regarding Christianity.” It is this: There are no new arguments against Christianity under the sun. For this reason, Pitre ably assembles the teachings of Church Fathers and others from 2000 plus years of whipping heretics to pin Ehrman and others in quick knock-out matches. A good and Christ-centered stroll among the Church Fathers is almost always a blessing. This is especially true if you have a guide who knows the Fathers and knows the best quotes and references. But that is not the greatest strength of this book. We Protestants are a folk who love the Solas of the Reformation. It all begins and even ends on Sola Scriptura. Praise God for Church Fathers of all 2000 years of winning arguments. But our first, primary, and actually only defense is found in Scripture. It is here that Brant’s work was so helpful to me. 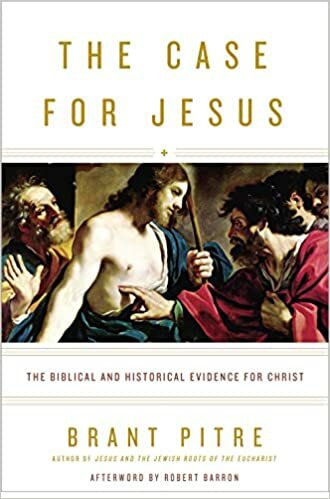 By going straight from one Bible verse, story, or teaching to another, Brant emphasizes, teaches, reinforces, and shouts aloud that Jesus Christ is God, that Jesus Christ claimed to be God, and that Scripture teaches that message clearly and forcefully. Don’t wait until the Advent season to read this book. For those who like spiritual reading during Lent, there is still time to delve into this work. But best of all, it might be just the book to read on Easter and the days following when we celebrate that Jesus, Son of God and Son of Man, Very God of Very God, rose from the dead and lives and rules forever. Post Script: I am obliged to confess that I received this book as a review book and am not obligated to praise it to the hilt. The high regard is the result of my being unable to restrain myself. “Love him or hate him” goes a frequent saying. But with H. L. Mencken, it is possible to do both. He was a vicious attack dog toward Christianity and religion in all forms. He could unleash powerful vitriol against the American South, working class people, American culture, and America in general. But he was also capable of being incredibly funny, engagingly readable, and often right on target. The life of Mencken is told in the book Damning Words: the Life and Religious Times of H. L. Mencken by Dr. D. G. Hart. It is published by Eerdmans and is part of their Library of Religious Biography series. (I have quite a few volumes of that series.) Dr. Hart has previously written such fine books as Calvinism: A History and biographical studies of J. Gresham Machen and John Williamson Nevin. Mencken was and never ceased to be a newspaper man, a journalist, a scribbler in the heat and passion of the newsroom working to get the latest edition out. He was a cynic, a curmudgeon, a skeptic, a doubter, and a critic. He could find the worm in every apple of pleasure. It is apt that the cover of this book pictures him sitting in front of a typewriter. That is where he lived so much of his life. But it was far from being a dull or limited life. He dwelt in the fascinating world where words live and meet, join together, reproduce, and create new sentences, paragraphs, pages, and ideas. Maybe more than any other American, he should have received the Nobel Prize for Literature. He would have rejected it if he had won, by the way. Worldly and brazen in many ways, Mencken spent much of his life living with his mother and taking care of her and other family members. For a few years (after he turned fifty), he was happily married. His wife, Sara, was ill when they married, and they knew it would be a short-lived marriage. He was nevertheless devoted to her. Perhaps one of the most attractive things about Mencken was his opposition to the New Deal and to President Franklin D. Roosevelt. He was largely what we would call a libertarian. At the same time, he was out of touch with the nation and its economic crisis in the 1930’s, so he really never grasped what was going on in the hearts and minds of the populace. It was this same willingness to venture opinions when they went against the grain that gained him friends and foes and cast him in many battles of the times. Mencken’s life, as the title suggests, is a study of the times in which he lived and the religious issues of that age. The big religious conflict that Mencken was associated with was the Scopes Trial in Dayton, Tennessee. For a number of reasons, Mencken loathed William Jennings Bryan. Bryan, a 3 time Democrat Presidential nominee and loser, was a prominent evangelical and opponent of Darwinism. A great orator in his day, he was not on his best game at the Scopes Trial. While he was bested by Darrow on the witness stand, Bryan grasped some of the more dire implications of Darwinian thought. Implications is a mild term considering some of the actual statements found in the eugenics-oriented biology texts of that time. In Mencken’s eyes, Bryan could do nothing right. Bryan’s death almost immediately after the trial ended did not elicit any sympathy or kind words from Mencken. Along with the attacks on Bryan, Mencken went after various forms of the Christian faith of his time. Granted, there were aspects of Victorian moralism that were held up as Christian, but were not really defining of the Faith. Mencken was a street fighter in many of his literary battles. He railed against enemies high and low, in general and in particular. His forte was the newspaper column. In fact, he is the prototype of many today who write columns bewailing various cultural and political issues. But Mencken was also a largely self-taught scholar. At several points, Hart reminds us that Mencken had only a high school education, and the school he attended was vocationally based. From his youth, he read. All of his life, he cultivated a rich harvest with words. His book The American Language was and still is a major linguistic source. He wrote several volumes that were loosely constructed as memoirs of his life. He also published many of his columns in book form. Any reading of the life of Mencken is bound to give moments of joy alongside of some very sad thoughts. Mencken’s last years–particularly 1948 to 1956–were quite depressing. A stroke had impaired his ability to read and write, but he lived on. His literary and newspaper careers had faded along the way. The Great Depression and World War II changed the world and his reading public. Making matters worse, Mencken was German by heritage and disposition. While no defender of the Third Reich, he was out of step with the times. I don’t agree with it, but I always get a chuckle out of it. A year or so ago, I wrote two article for PorterBriggs The Voice of the South titled “The Skeptic and the Theologian” that can be found here and here. In these two articles, I dealt with Mencken and a fellow citizen from Baltimore, theologian J. Gresham Machen. I wish I could have read Hart’s book before I wrote the articles. I don’t think it would change any content, but it would have enhanced my love for Mencken’s gifts and sorrow over his views and life. The Bible Unfiltered by Michael S. Heiser is published by Lexham Press. Never heard of Lexham Press? Then you are in for a treat. They are publishing a wide range of top notch Christian books, including works by such pillars of the Reformed faith as Abraham Kuyper and Gerhardus Vos. They are also publishing works by contemporary authors and theologians on Biblical and worldview issues. Never heard of Michael S. Heiser? Then you are in for another treat. Dr. Heiser’s website features articles, resources, and podcasts on his Bible research and teachings. 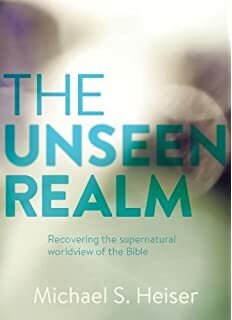 This past year I read The Unseen Realm, a best seller work also published by Lexham Press. The Unseen Realm was highly recommended by several people I know, so I got the book and read it. It is challenging, often convincing, and always fresh and Scriptured-centered. By Scripture-centered what I mean is that Heiser is very honestly and directly trying to uncover what the Bible says. Does he always succeed? No need to answer that, but he always tries. Our problem as Bible readers, sermon preparers and sermon listeners, and Bible students is that we can never approach the Bible objectively. We are finite, and we live (in most cases of those reading this) in the United States in 2018. We are culturally conditioned. We are not just conditioned by the culture around us. In fact, we are often alert to the perils of modern society, Hollywood, secular humanism in the recent forms, and the like. But we are conditioned by Western Culture, by the last 2000 years of Greeks, Romans, Carolingians, Catholics, Protestants, Puritans, Colonists, English speaking peoples, Enlightenment thinkers, converts during the Great Awakening, Calvinists, Arminians, Dispensationalists, Post-millennialists, Dutch theologians, and all sorts of others tweaking and touching our way of thinking, processing information, and coming to settled opinions. That is not all bad. I wish I some of those listed above influenced me more. But what we all have to do is to keep going back to the Bible, ad fontes, and seeking out what it is saying to those to whom it was written and when it was written. Research into the ancient languages and cultures (Greek and Hebrew, but also the neighboring tribes) is a growing and expanding field. Don’t forget that Medieval people often knew of Homer and his epics, but the actual texts went underground for centuries. The same has happened with other realms of languages and knowledge. This detective work is Heiser’s specialty. He digs, discovers, and offers new interpretations. That is the strength and enjoyment of his work. Concerning the book at hand–The Bible Unfiltered–let me make some observations. First, I read the book last year in November. I read it dutifully as a book reviewer and enjoyed it, but delayed getting a review together. This past week, I started re-reading the book and am enjoying it as more than a book-reviewing duty. It can be read and re-read with enjoyment and profit. Second, it is unusual in a few respects. The Unseen Realm calls for the reader to gear up and do some heavy lifting, but The Bible Unfiltered is much lighter and easily read. It would be great as a prelude to reading Heiser’s more challenging work or as a follow up. The chapters are all short–usually 3 to 4 pages. It could be read as a morning devotional, but unlike most devotionals, this one would feed that part of us that fits under “loving God with all our minds.” Don’t assume that mental growth is not connected to spiritual growth. This makes the book a delight for the “I’m too busy to read theology” person. This book is good, sharp punches rather than a long drawn out match. In my re-reading, these are the ones that are freshest in my mind. My thought on the first one, which is on serious Bible study, is that I need to read that to my theology students and to myself often. In these short chapters, Heiser knocks the props out from under many false or unthought-out ideas. The chapter on bad Bible interpretation discusses past bad uses of the Bible to justify race-based slavery (sons of Ham). “Unyielding Literalism” lays flat an overly simplistic approach we often fall prey to. The portion on Marxism and theology struck me as a bit dated. Does anyone still see Marxism as an application of Christian community? But it never hurts to chop the head off of a dead snake. I did not readily agree with “Everything in the Bible Isn’t about Jesus.” I mention that as a selling point, not a turn off. It just so happens that I am currently reading a book titled The Christ-Centered Expositor by Tony Merida. He is teaching pastors how to make preach with Christ as the message, no matter what the text. Is he right or is Heiser? Well, it is not that simple. Both men point out ways that well-intentioned expositors can make connections that just aren’t there in the text. So, even the chapter I question still provides me some cautions in my own Bible readings. On the one hand, I would love to jump right in and finish reading number two of The Unfiltered Bible during this coming week. With sixty chapters and 230 plus pages, it can be read quickly. But I prefer to keep it handy, to use it as the book to carry to an appointment, to read in short snatches, to use for nutritious snacking. However, one read it, it is a fine work.